The Novoflex Castel-Mini Focusing Rack allows the movement of the whole camera body back and forth to achieve precise close-up focusing. 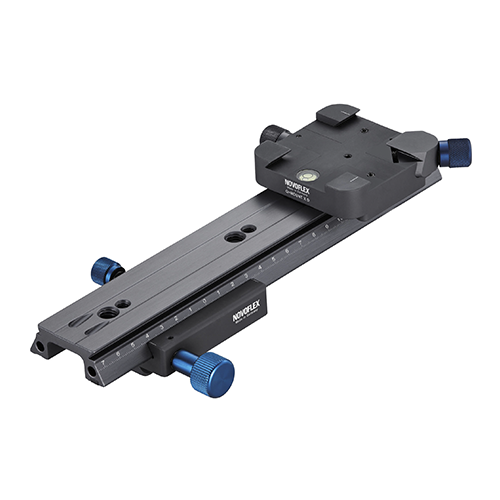 The Novoflex Castel-Mini Focusing Rack is an invaluable tool for macro photography, which uses rack-and-pinion gearing to give quick and precise focusing. This Novoflex focusing rack is a lightweight unit that is suited for most DSLR cameras, 35mm and lighter medium format cameras. 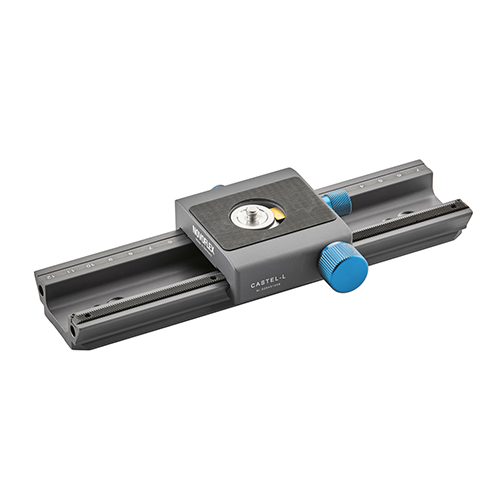 The Castel-Mini uses a double rack system to achieve 135mm of movement in only 130mm overall length. 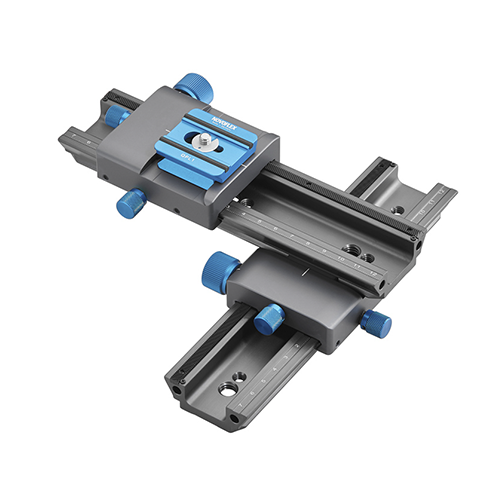 This focusing rack has both a standard 1/4" and 3/8" female thread for tripod/head mounting with a camera connection of a 1/4" Mini Connect quick release.